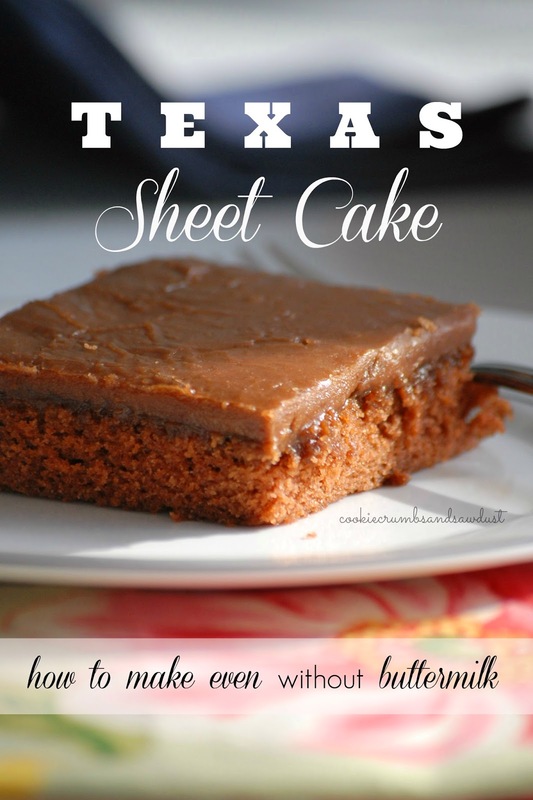 Texas sheet cake is a national favorite. Everyone loves Texas sheet cake! And why not? Its moist chocolately cake and almost fudge-like frosting combination is a winner. Plus, it's just so easy to make. It's a great dessert for large crowds or the casual potluck. And for good reason, one recipe make a lot of cake! I don't always have buttermilk in the fridge, but the vinegar/milk substitute works so good, there's no reason to make an extra trip to the store. This is also a great recipe to make with kids. Preheat your oven to 350. Generously spray or butter a half-sized sheet pan. In a large bowl, whisk together flour, sugar, baking soda, and salt. Set aside. Gently whisk buttermilk, vanilla, and eggs in a small bowl, just until yolks are broken. Set aside. In a medium size pot, bring butter, cocoa, and the water to a boil. Immediately pour over flour mixture and whisk until smooth. Add the buttermilk mixture and whisk until smooth again. Pour into prepared sheet pan. Pour and gently smooth frosting over hot cake. Let cool for 10 minutes before serving. Bring butter, cocoa, and milk to a boil. Add vanilla and powered sugar. Remove from heat and whisk until smooth. Immediately pour and smooth over hot cake. *if using salted butter, reduce salt to 1/8 teaspoon. **substitute 1/2 tablespoon white vinegar and 1/2 cup (less 1/2 tablespoon) milk for buttermilk. Gently spoon cocoa into the measuring cup instead of using the dip and level method. For easier clean-up, lay a small piece of wax paper on surface where measuring cocoa. We usually make this without buttermilk too and it still tastes great! It's been a long time since I've made a Texas Sheet Cake! I might have to make one later this week! 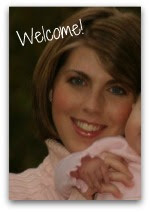 Visiting from We Made That Wednesday!